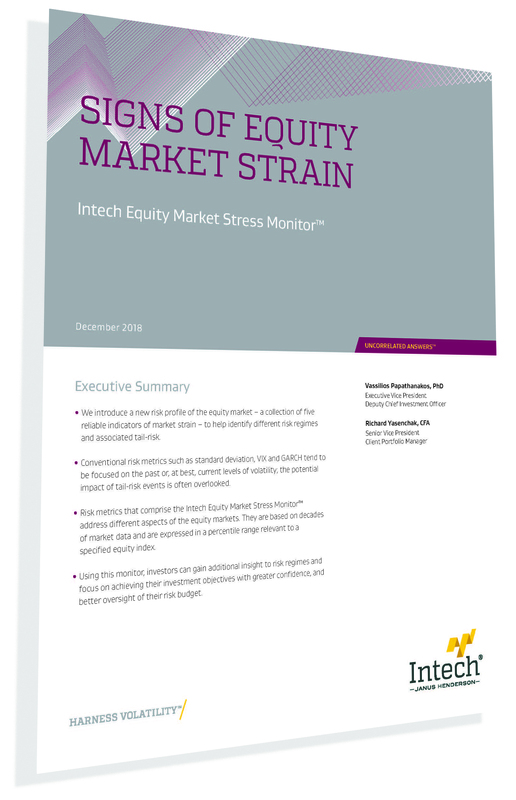 What are the five indicators of equity market strain? How do you interpret the levels for and relationships between each metric? What are the calculations used for each metric? How do these metrics compare to conventional measures like the VIX® and GARCH?